If U.S. public markets are so terrible these days, why are some smart companies still going public - and thriving? Fortune's Adam Lashinsky provides some answers. NEW YORK (Fortune) -- Yep, there's no question about it, it's a terrible environment for public companies. That's the argument, anyway, of the crowd that fears that Sarbox, a negative news media and inhospitable markets are making it impossible, or at least highly undesirable, for companies to list their shares in the United States. Someone forgot to tell Blackstone Group, of course, which filed last week to go public on the New York Stock Exchange. Blackstone is one of many private-equity firms that encourages public companies whose shares are undervalued by the market to sell to private investors so they can get out of the harsh glare of nitpicky, short-term-oriented shareholders. 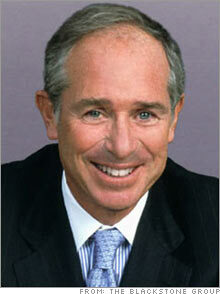 But Blackstone itself is willing to put up with the hassle of shareholder pressure. So are a host of other companies that are braving the nasty public waters in the name of liquidity for their investors and cheap capital for their companies. Take Limelight Networks, which I featured here in a similar jeremiad not quite two months ago. Limelight filed to go public last week. It hopes to raise as much as $138 million. As CEO Jeff Lunsford promised me then, Limelight's growth has been explosive. The company provides a service that speeds up its customers' Web sites. Sales tripled in 2006 from the year before to $64 million. The company isn't yet profitable, arch-competitor Akamai (Charts) is suing Limelight for patent infringement, and one of its founders is prohibited from being an officer of the company until August because of an earlier settlement with the Securities and Exchange Commission over an allegedly fraudulent scheme to inflate a previous employer's revenues. No matter. The company is in hyper-growth mode and will undoubtedly be in great demand. The Limelight offering provides another window into how the private-equity world truly feels about the public markets. In short, it can't live without them. The private-equity arm of Goldman Sachs owns 45 percent of Limelight, having been part of a $130 million investment round last summer that allowed Limelight's founders to cash in part of their stake. Limelight is not the only company headed for our supposedly inefficient and uncompetitive capital markets. McLeodUSA, an Iowa-based phone company, is attempting to go public again. Among the private-equity firms that will not benefit from the IPO, if it occurs, is Forstmann Little & Co., one of the first and most successful practitioners of the trade. Forstmann Little's stake was wiped out in bankruptcy court, the result of an imprudent investment, not the post-Enron regulatory environment. (See my feature on firm founder Teddy Forstmann from 2004, when he still hoped to recoup his losses on McLeod.) The public markets are so forgiving, however, that McLeod is getting another chance. A final note on the fine line between public and private markets. One of the key arguments for a company going private is that its owners can take the long view and react far less harshly when the company reports poor quarterly results. Public investors are well known for slamming companies that disappoint. Witness the shares of Motorola (Charts), which dropped 7 percent last Thursday, after the company reported a billion-dollar shortfall in expected annual sales. Also note the declines in Motorola suppliers Skyworks Solutions (Charts), also down 7 percent, and RF Micro Devices (Charts), down 5 percent. Skyworks and RF Micro get 23 percent and 32 percent of their sales from Motorola, respectively. One company whose shares didn't plummet was Freescale Semiconductor, which is now a private company, having been bought out for $17.6 billion last December. Freescale is of interest because Motorola accounted for 26 percent of its net sales in 2006. Two thirds of the sales of Freescale's wireless unit, which Freescale identifies as its biggest growth opportunity, came from Motorola. Motorola's stock is down 20 percent since the sale of Freescale, a former Motorola unit, was concluded. It wouldn't be a stretch to assume that the company's new owners are less than pleased with the turn of events. They'll certainly have the opportunity now to show their long-term patience - and hope that their investors remain patient as well. So just who were the geniuses that bought Freescale? The buyout group was led by none other than Blackstone, which paid more than it had originally intended due to a bidding war against a group led by KKR. All this proves is that not everything Blackstone touches turns immediately to gold and that the buyout game is fraught with risk. One set of winners for sure: Freescale's public shareholders, who sold out in December for $40 a share.